Yacht Consultants Asia (HK) Ltd. is all about offering solutions to our clients. Normally those solutions fall within the three main categories…Consultation, Representation and of course Sourcing. Your original input must be clear in terms of technical accuracy, written and photo / rendering communication to us. Scheduling as required by you. Post production approvals to ship. These conditions met, Marine products are available in Asia. 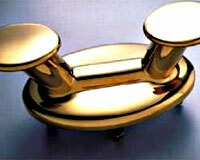 We source for Domestic as well as International clients requiring custom or mass produced marine products. Marine Interior and Exterior Lighting. Superb Veneers and Solid Woods. Composite Materials (including custom formulated resins). FRP Tooling (Traditionally crafted as well as CNC cut). Small Water Craft of every description. Custom and mass produced Boat/Yacht Models.